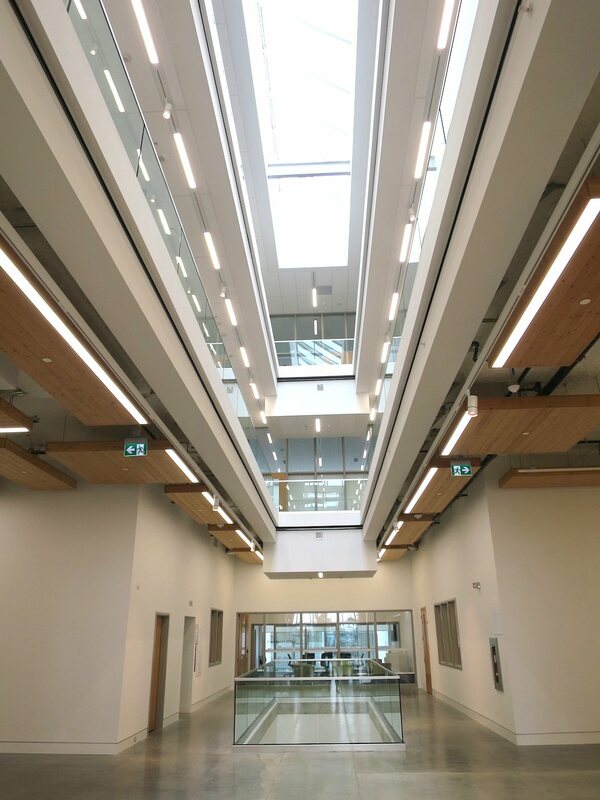 The new state-of-the-art campus for Canada’s preeminent post-secondary institution for art and design carries an architectural concept that doubles as a giant white canvas. 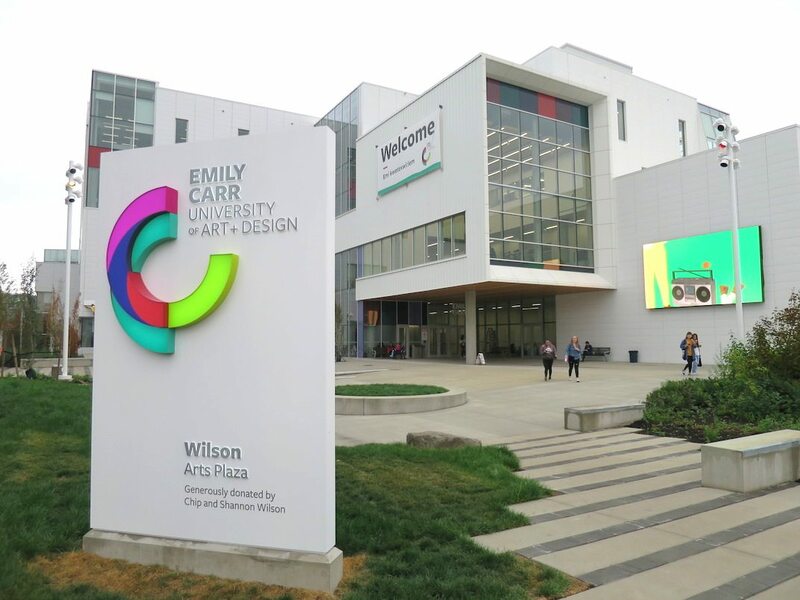 Earlier this week, Emily Carr University of Art and Design (ECUAD) opened its new $123-million campus on a two-block sized site at the corner of Greater Northern Way and Thornton Street in the False Creek Flats. 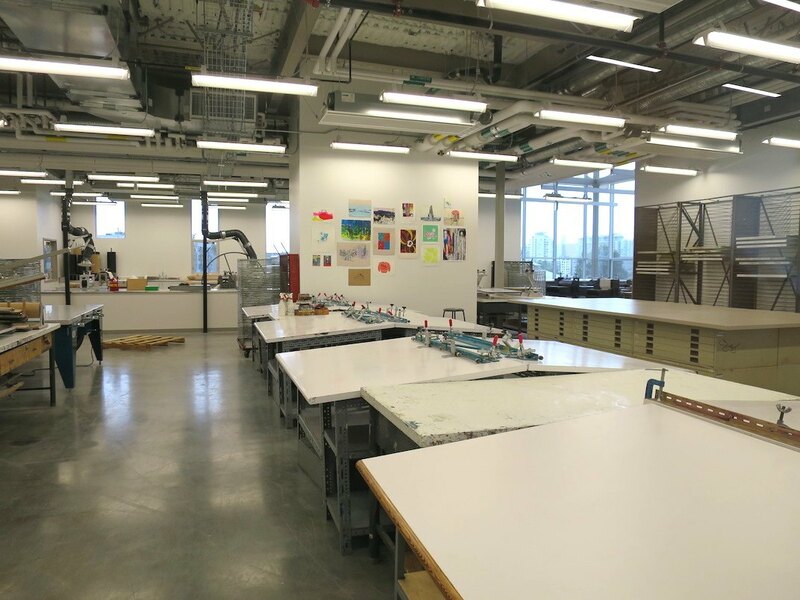 The new purpose-built, 290,000 sq.ft. campus is about 90,000 sq. ft. larger than the institution’s previous long-held campus on Granville Island. 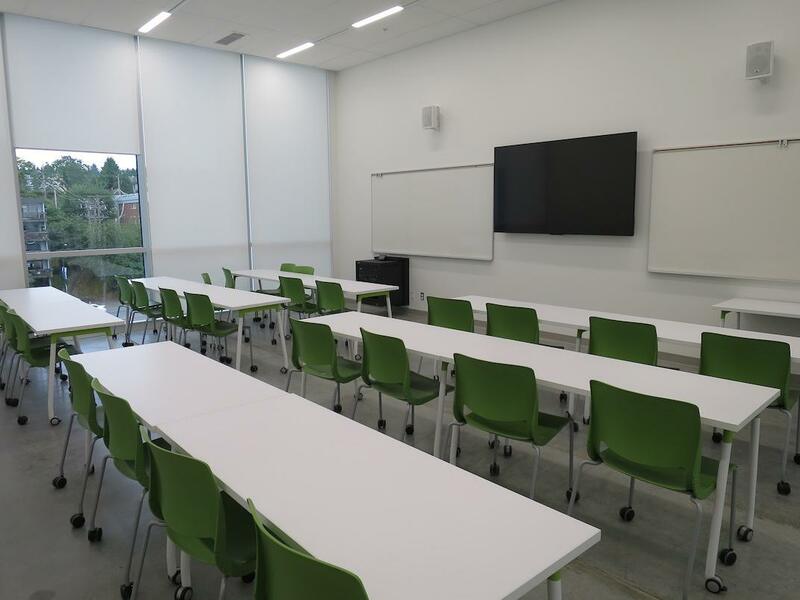 Over 1,800 full-time students and 3,000 continuing studies students will start classes at the new campus next week. 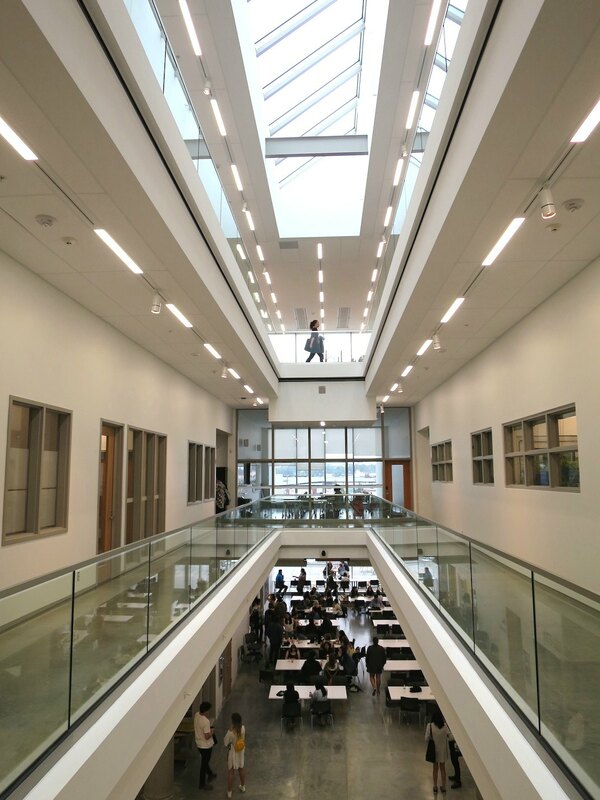 “This new state-of-the-art building will inspire the creative talents of new and returning students,” said Melanie Mark, Minister of Advanced Education, Skills and Training, in a statement. 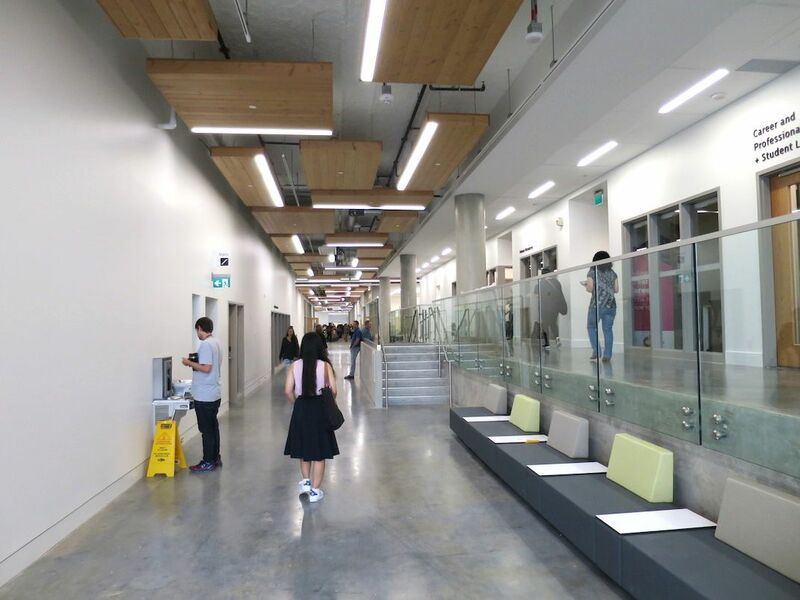 Funding for construction was largely provided by the provincial government, with Victoria allocating $102 million and the university fundraising $21 million. 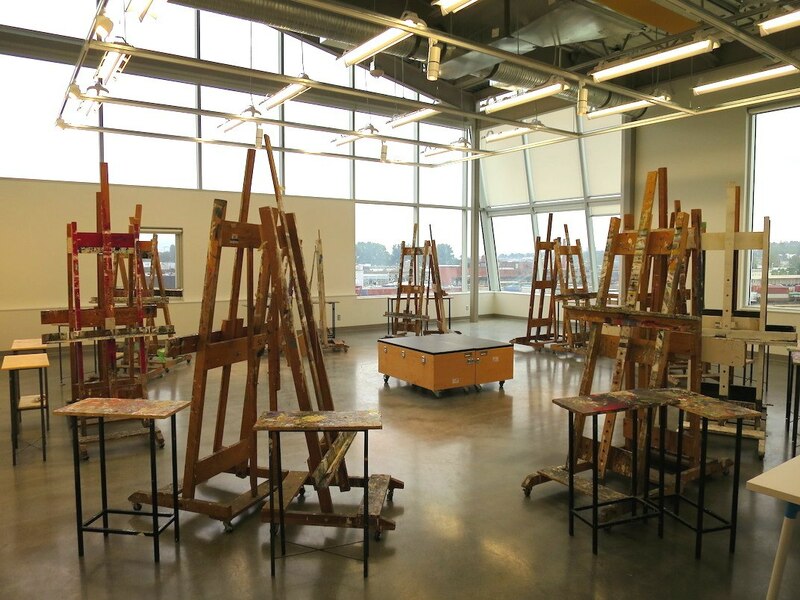 While the Granville Island campus was split into two buildings, the new campus is contained within a standalone, four-storey LEED Gold-certified building with ample communal and gathering spaces that foster dialogue and socialization, galleries and exhibit spaces to showcase artwork, and windows and sky-lit atriums that allow natural light to flood in. 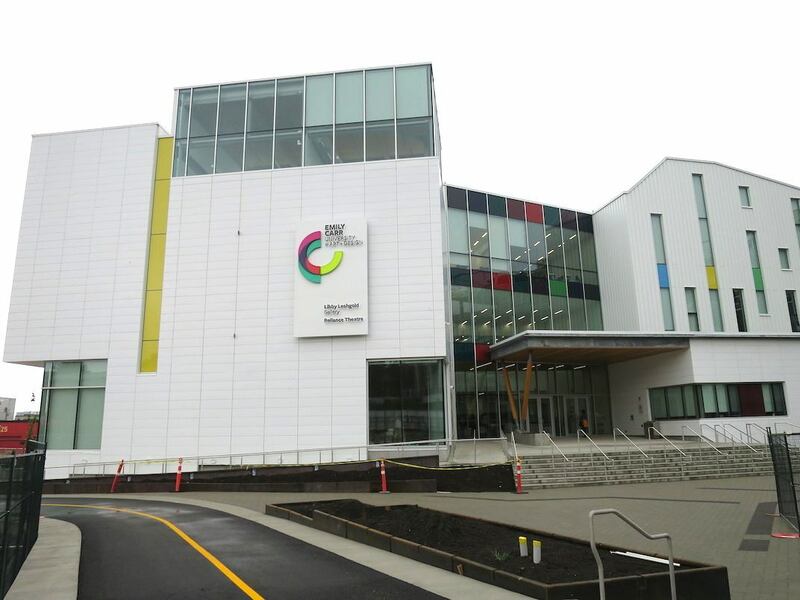 The building’s exterior is clad with white metal panels and coloured-glass panels referencing the distinctive palette of the university’s namesake artist. 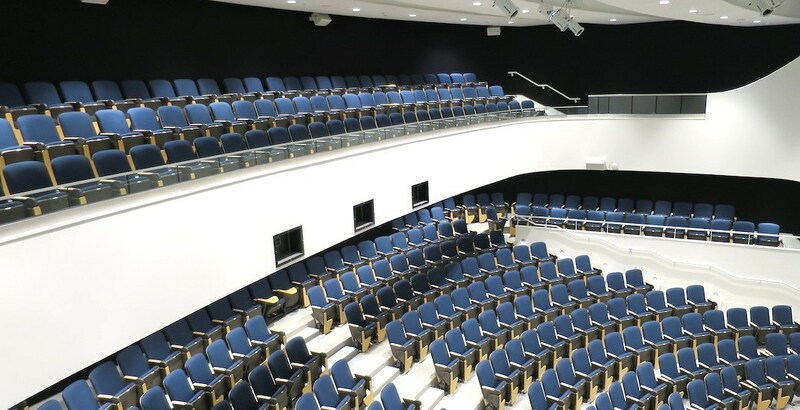 The Relliance Theatre – a 400-seat lecture hall and theatre that can be used for large class sessions, artist’s talks, all-university gatherings, celebrations, and film and animation screenings. A large outdoor plaza on the southeast corner of the campus facing Great Northern Way has a large digital screen showing animation and films made by students. 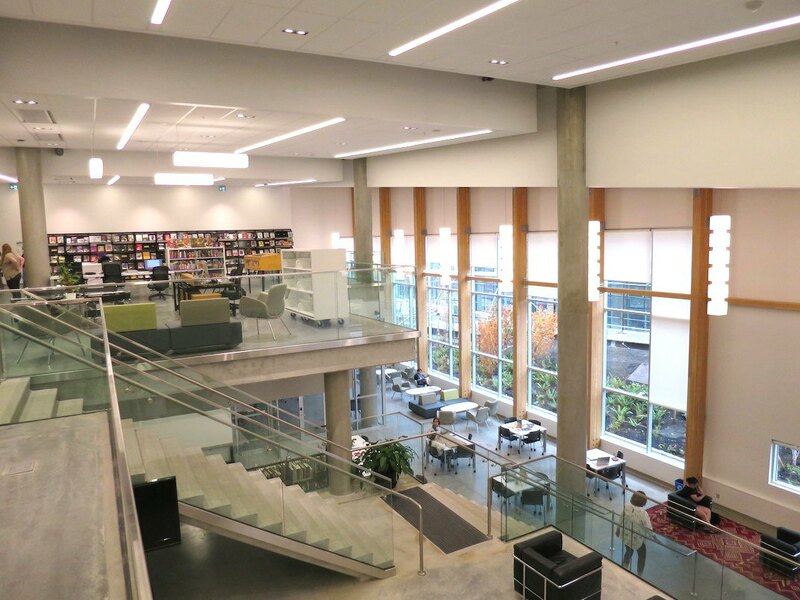 The two-level Ron Burnett Library and Learning Commons. 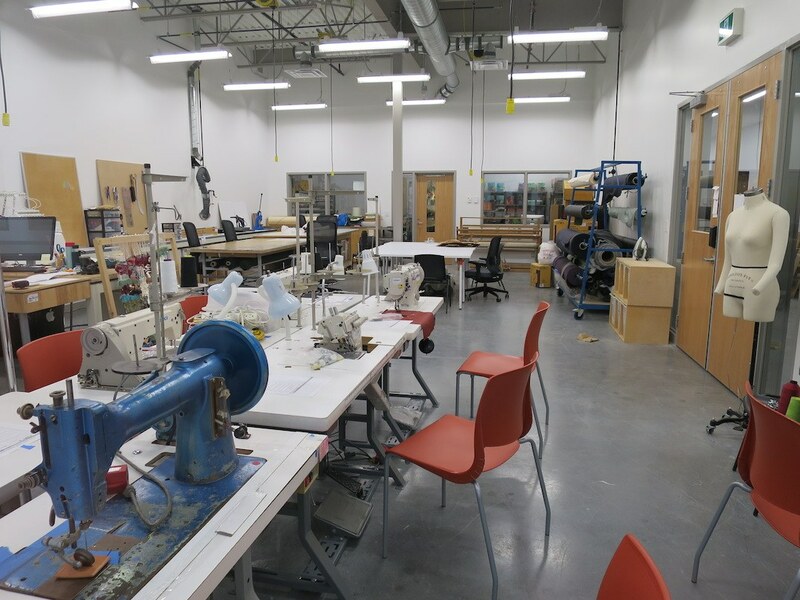 Dedicated studios for advanced digital media, virtual reality design, health design, robotics, data visualization and media, communication design, industrial design, painting, sculpture, photography, illustration, drawing, print media, sewing, and ceramics. 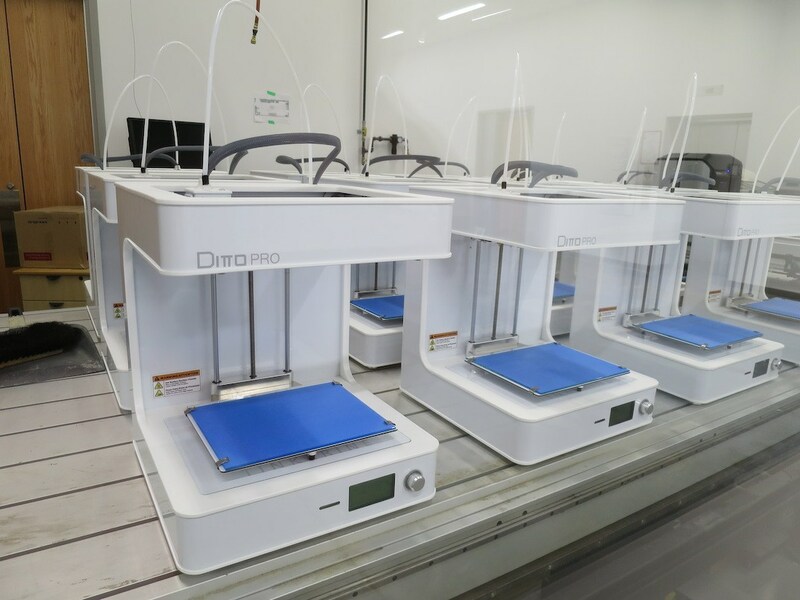 A $3.9-million motion-capture studio with 40 cameras. 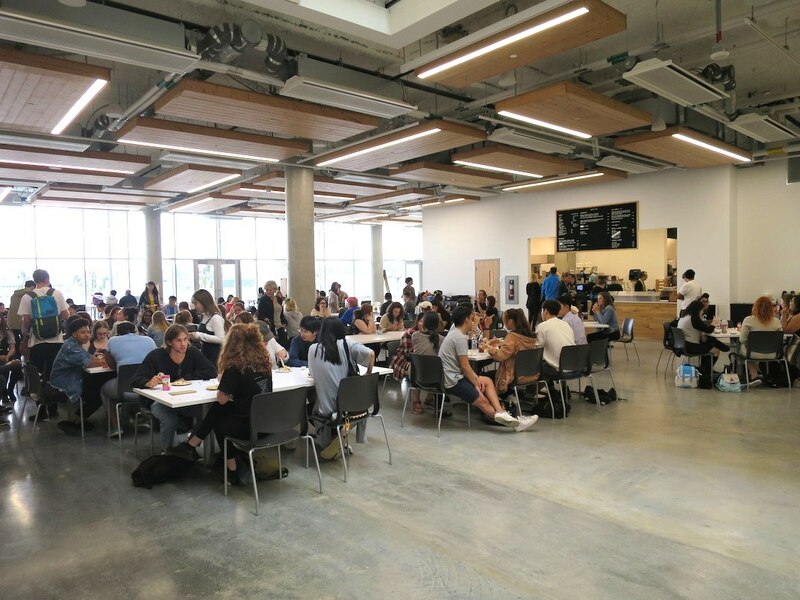 “The building’s design creates a multitude of places both indoors and out for informal gathering, presentation, making and remaking, which is at the heart of Emily Carr’s multidisciplinary arts learning,” said Donald Schmitt, Principal, Diamond Schmitt Architects. 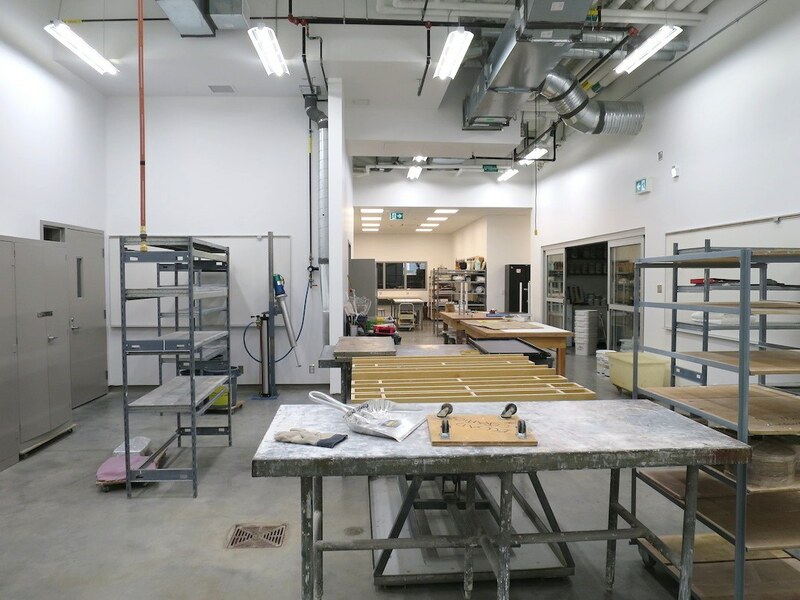 ECUAD’s new location at the False Creek Flats is more accessible to public transit compared to its Granville Island campus. The No. 84 bus stops in front of the campus, Main Street trolleys are approximately an 8-min walk away, and VCC-Clark Station is about a 15-min walk east. There will be a subway station at ECUAD’s doorstep at the corner of Great Northern Way and Thornton Avenue as part of the planned underground SkyTrain extension of the Millennium Line from VCC-Clark Station to Arbutus Street. 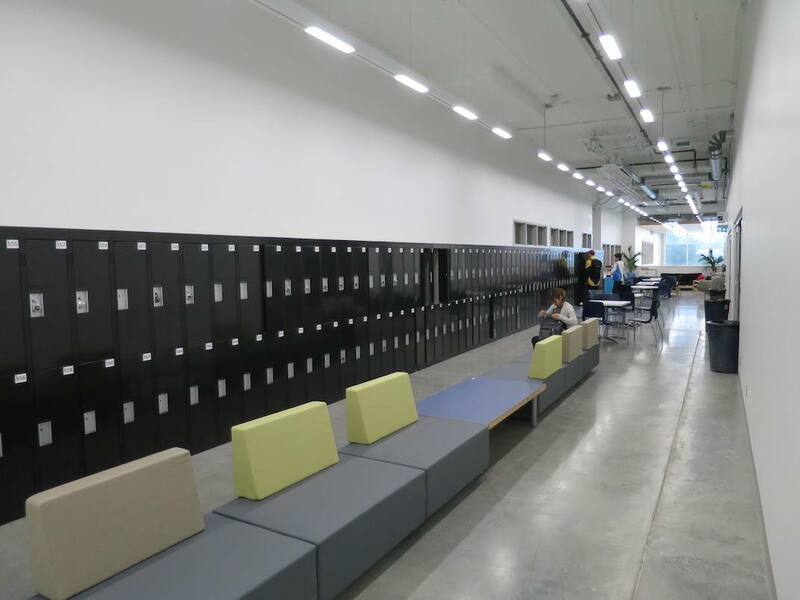 But the station is meant to serve much more than just the ECUAD campus. 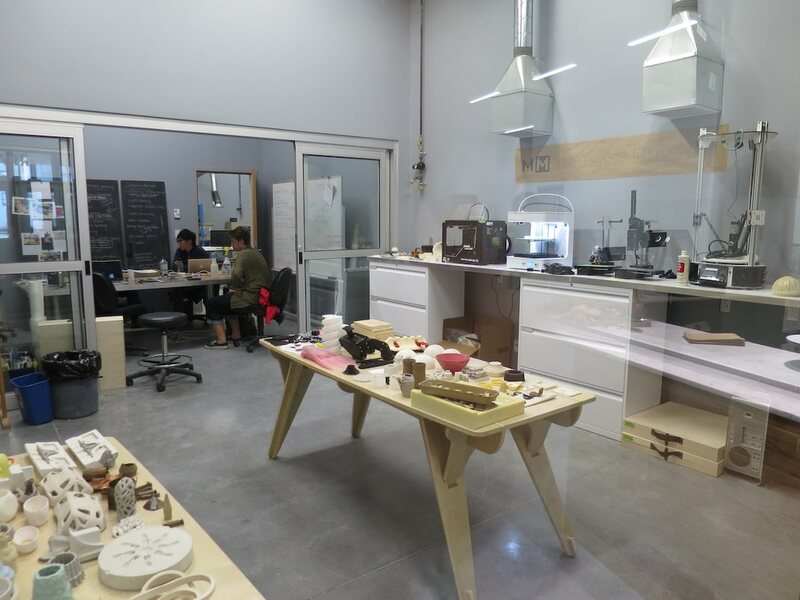 Although the area is currently predominantly industrial, planned redevelopments outlined in Vancouver City Council’s recently approved False Creek Plan envision transforming the southwest corner of the False Creek Flats – where ECUAD is located – into a tech hub and creative campus. 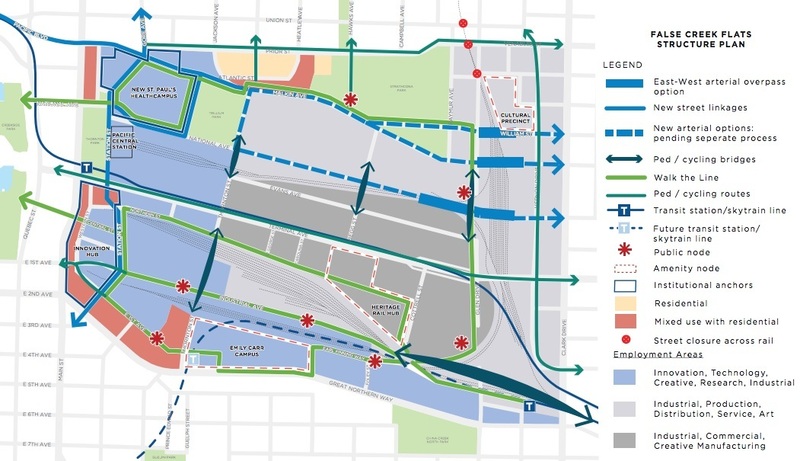 Currently, there are 600 manufacturing and service-based businesses employing 8,000 people on the Flats, but under the plan this will increase to 30,000 jobs, including the jobs expected to be generated from the new St. Paul’s Hospital campus on the northwest corner of the Flats near Main Street-Science World Station. There will also be some housing developments, mainly in the area near ECUAD, that will create 3,000 new residential units. 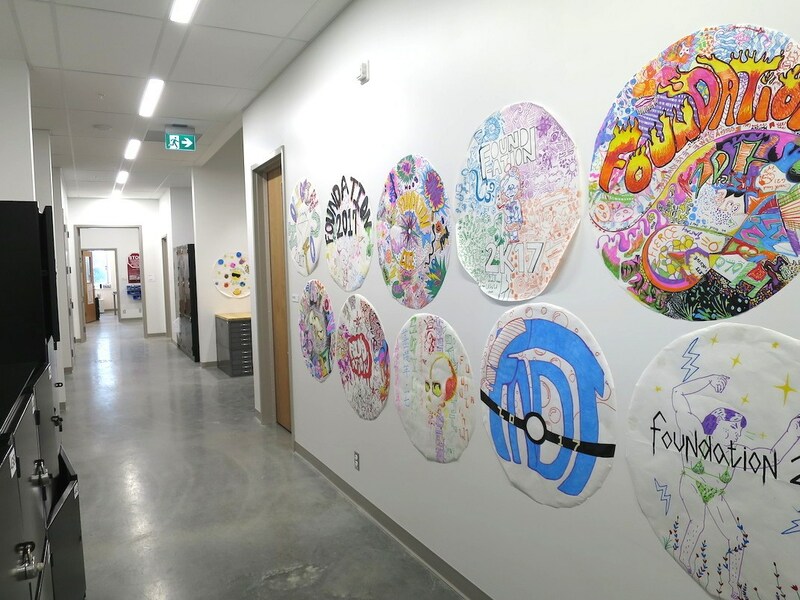 Additionally, the new campus location next to the Centre for Digital Media – a multidisciplinary graduate institution by UBC, SFU, ECUAD, and BCIT – provides synergies for ECUAD’s students. 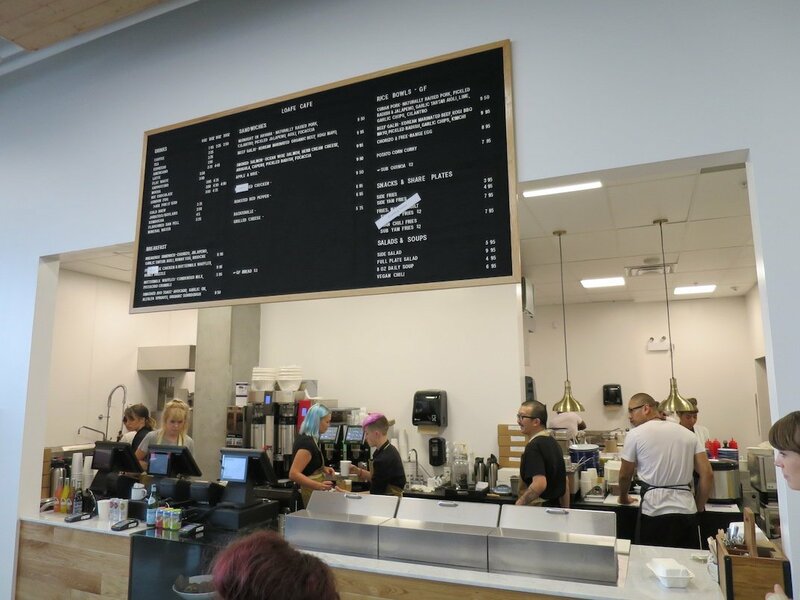 When ECUAD announced in 2013 that it would be moving out of Granville Island, there were some concerns that its vacancy would leave a significant void. A recently released redevelopment master plan for Granville Island strives to address those concerns. 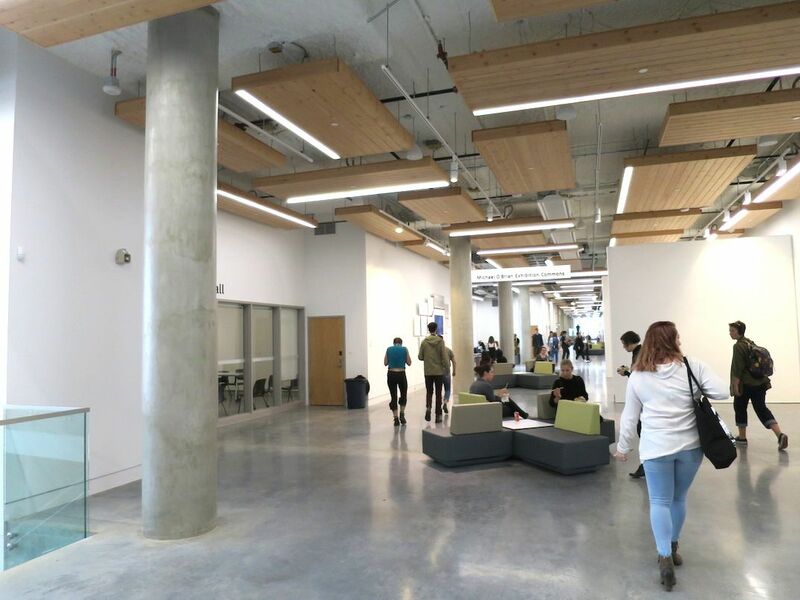 ECUAD’s former South Building will be reserved for institutional uses, and there is no shortage of interested parties, including Langara College and Arts Umbrella. 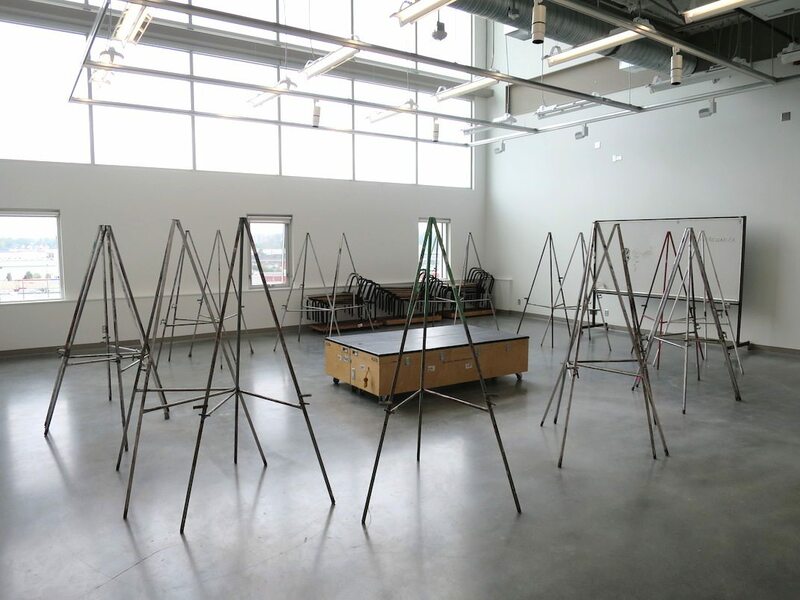 Meanwhile, the North Building will be converted into an arts and innovation hub with spaces for artists, makers, and inventors as well as amenity spaces such as a state-of-the-art auditorium gallery, and cafe and restaurant facilities.